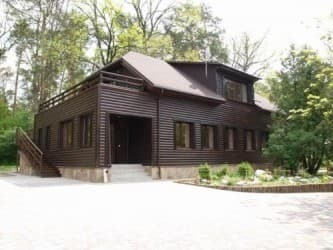 The family recreation complex "Tsariv Khutir", "Tsarskoy Khutor" is located in Tsarevka on the shore of Tsarevsky Lake (the 92nd km of the route Kiev-Chop). 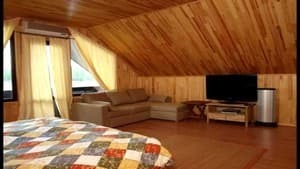 The hotel has 8 comfortable rooms and a "Fisherman's Lodge" on the shore of the lake near the dais. The rooms are equipped with air conditioning, satellite TV and LCD TVs, double beds, shower cabins. Each room has bathrobes, towels, slippers, an individual cosmetic set. All conditions for comfortable and pleasant fishing are created: 14 fishing platforms, rental of fishing equipment and kazanov for cooking soup. Boating, riding, renting motor scooters, shooting at a dash. There is a children's playground and a beach area around the pool. Restaurant "Tsariv Khutir" is located on the shore of the reservoir, it has a panoramic view. Hall for 35 guests and a summer terrace for 200 seats, as well as summer alcoves. The menu offers exquisite fish dishes, including royal ears and hot smoked fish with special technology. 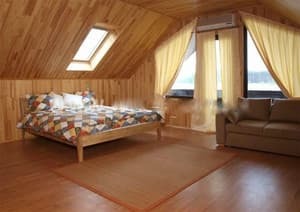 Description of the room: The room is equipped with air conditioning, satellite TV and LCD TV, double bed, shower. Also in the room there are bathrobes, towels, slippers, an individual cosmetic set. Природа, номер и персонал замечательны! Запас воды в душе и из крана не очень приятный! Цены в данном отеле, явно не соответствуют сервису. Соотношение цена-качество очень далеки друг от друга. Restaurant "Tsariv Khutir" is located on the shore of the reservoir, it has a panoramic view. Hall for 35 guests and a summer terrace for 200 seats, as well as summer alcoves. The menu offers exquisite fish dishes, including royal ears and hot smoked fish with special technology. 92 km of the route Kiev-Chop.